Of course there are many varitations to this, and I may post some others, but this should take care of it for thee most part. 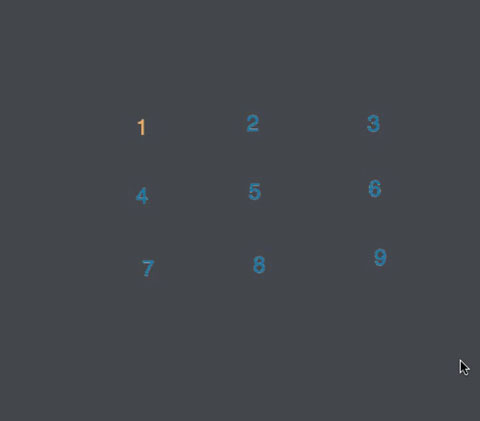 4 numbers makes many combinations :) This is Menu 1 in the scripts below. Line 3 - Add 1 to action. 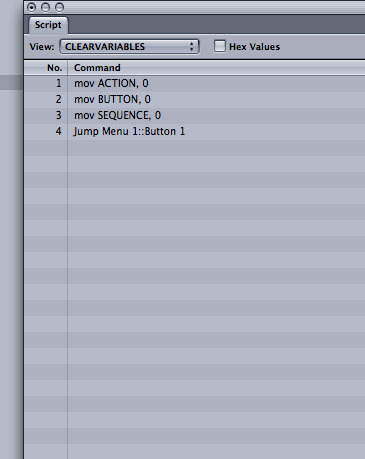 If no buttons pressed before (Action is 0), Action becomes 1, etc. Line 4-6 The code is basically 9876 in this example. 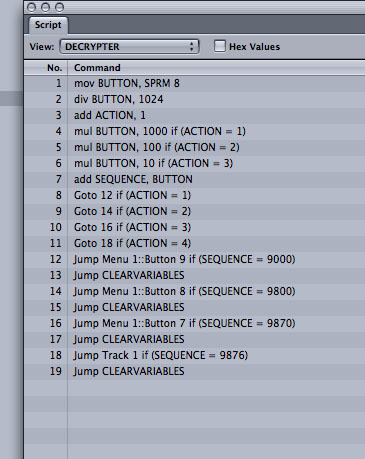 So if action is 1 (which means Sequence is 0) make the button x 1000, etc. Line 7 - puts the sequence together. For instance if Action = 1, Sequence was 0. Line 4 made the button equal to 1000 x the button. So if the user pressed 9, then the button value is 9000, this line makes sequence 9000. If Action = 2 (and the user pressed 9 the first time through), Sequence was 9000. Line 5 made the button equal to 100 x the button. So if the user pressed 8 the second time through, then the button value is 800 (from line 5) and this line makes sequence 9800. Line 8-11 routes the script based on where the user is in pressing buttons determined by ACTION.